I haven’t written a post in such a long time-around three weeks, I think-and for those of you wondering, I am still alive! I don’t even know what happened, I wasn’t even that busy or anything. There was just this big blank when I didn’t want to write or anything or couldn’t even if I wanted to. But I’m back and I’ve picked up this meme that I want to participate in, hopefully giving me that spark to pick up blogging again. Waiting on Wednesday is a weekly event brought to you by Breaking the Spine where we each pick what book we can’t wait to come out. I would’ve picked More than this by Patrick Ness but since that came out very recently, I’ve decided to turn to Allegiant. Like millions of other readers, I’ve been doggedly hooked onto Divergent and Insurgent, two books which I’m proudly the owner of. 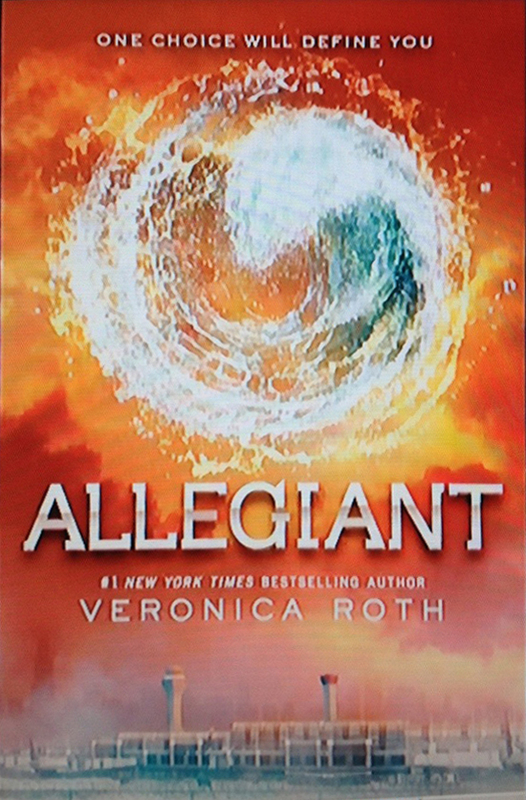 I’m excited to see where Allegiant will go and how Veronica Roth will tie a knot onto this captivating series! How about you, what books are you jumping up and down in your chair for? Sorry that there haven’t been any posts in a while, the week has been crazy but I’ll try and update soon! 😦 On another note, I’ve been rereading Looking for Alaska by John Green to try and discover the ‘true meaning’. Thoughts, anyone?